This industry had revenue of $1.03 billion last year and it’s not the technology sector— it’s comic books. Comic book sales are soaring as the demographics of the average comic book fan broaden. Sales are up in all forms of comics including month-to-month titles and graphic novels. The lion’s share of those dollars (about 60% of sales) goes to the “Big Two” comic book publishers, Marvel and D.C.
A sliver of the indie market is comics created by people of color. Sure, there are a handful of comics written and drawn by black people working for DC or Marvel (Christopher Priest, Ta-Nehisi Coates, and Reginald Hudlin, are some of the most prominent to come to mind). Yet, many black writers and artists are increasingly going the indie route, some using funding sources such as Kickstarter to launch their titles. In interviewing several of the most buzzed-about independent black comic book creators today, the consensus is that while the goal is to create a profitable comic title, the true joy of being a black indie comic book publisher is freedom of expression, despite myriad struggles to get one’s work noticed. Ask just about any professional in the comic book industry how they ended up in their line of work, and most will say it began with collecting comics as a child. Many dream of writing or drawing their way to comic book success by working for Marvel or DC, or the next-largest publishers, Dark Horse and Image Comics. However, as in the tech field, diversity in the comic book industry is an issue making the business even harder for people of color to gain access. While Marvel or DC Entertainment did not provide workforce diversity statistics for this article, Marvel did claim in an emailed statement, that it has ‘interesting news upcoming that adds to Marvel’s diversity in both its creative team and in its storylines,’ but did not elaborate. Perhaps the goal for aspirational comic book creators is not to be validated by the dominate publishers? Joe Illidge, a comic book industry veteran who started his career at Milestone and went on to become the first black person in DC’s editorial department for Batman, agrees. “I don’t think the goal should be to try and break into DC and Marvel,” he says. “I think the goal is we have to build our own houses and then in time be as big as DC and Marvel.” Illidge launched his own title, Solar Man with N. Steven Harris and is currently a senior editor with Lion Forge. 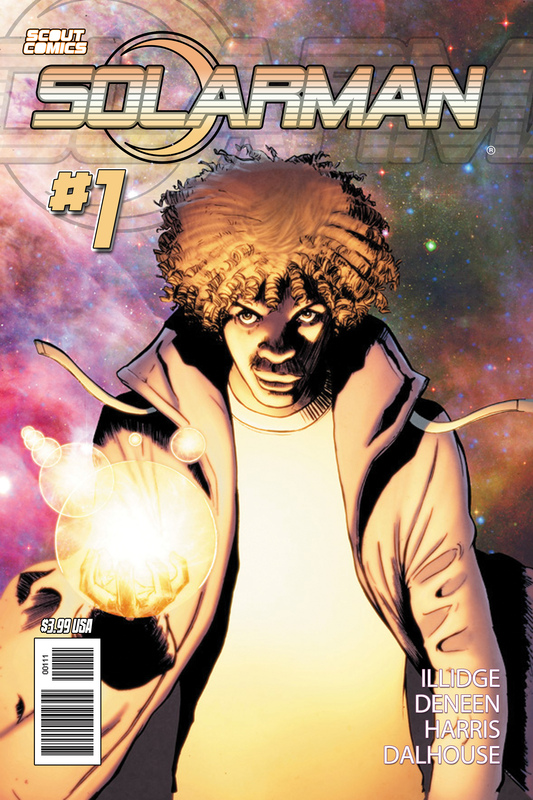 The black comic book business has grown since the launch of Milestone Comics in 1993, credited at the time as “the industry’s most successful minority-owned and operated comic company,” founded by Dwayne McDuffie, Denys Cowan, Michael Davis, and Black Enterprise’s own Derek T. Dingle. With competition fierce to work for either Marvel or DC many comic book creators are forced to go solo in developing, marketing, and selling their products. Today, many tools are available to make creating a comic book an easier process than before, helping comic book producers of color get their work out. 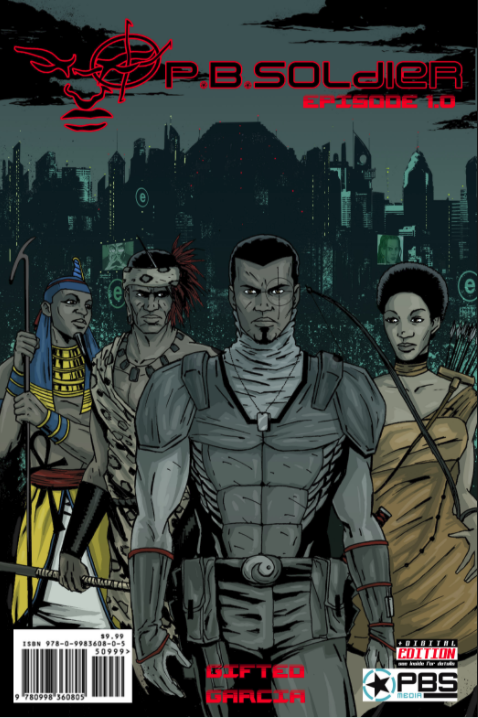 The game-changer contributing to the rise of independent, black-owned and created comics such as P.B. Soldier, Matty’s Rocket, Solar Man, E.X.O, and Eating Vampires is technology. 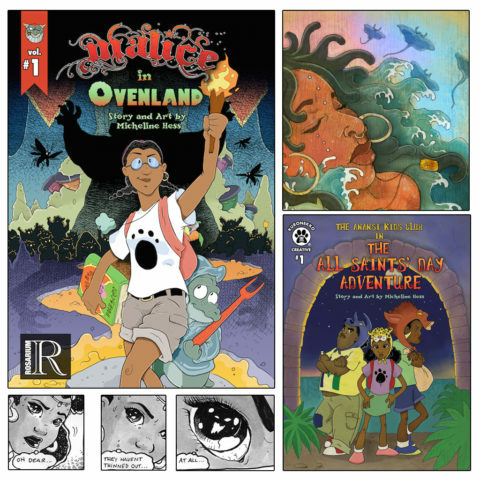 “If you are kind of daunted by the disturbingly large amount of money it takes to get a comic done, go on Tumblr, go to Instagram…these things are free,” advises Micheline Hess, the creator of young adult fantasy adventure comic, Malice in Wonderland. Digital comics have somewhat lowered the cost of creating a comic book. But revenue data reveals that the preference for many fans is still print. Digital comic book sales in the North American market tallied $90 million in 2015. But print sales accounted for $940 million. “Right now with Watson and Holmes at best I was looking at 20-25% of print sales,” says Brandon Perlow, publisher and artist of New Paradigm Studios which creates Watson and Holmes—an urban take on Sir Arthur Conan Doyle’s detective duo. “[Digital] is lower [cost] than print,” Perlow explains, “but you’re pretty much limited to Comixology and Amazon….so it’s less income per book after distribution fees.” His conclusion on digital comics is that he’s unsure it will replace print. Despite the availability of digital comic platforms, technology tools for writing and art, and social media for promoting comic books, the uncertainty of bringing home a steady paycheck as well as costs associated with printing and marketing, makes the comic book business a precarious venture. This is especially true for African Americans who don’t often hail from families with the means to support the unsteady financial life of an artist or writer. 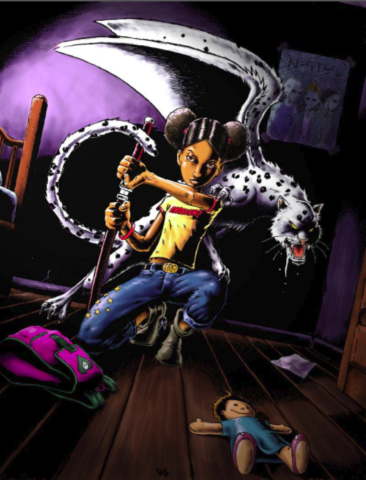 “In our community, our parents, rightfully so, are concerned about us becoming artists,” says Regine L. Sawyer, owner and founder of Lockett Down Productions which produces the comic books Eating Vampires, Ice Witch, and The Rippers. “Yes, [young people] can make a living from comics and we give them the breakdown of how they can do that,” says Sawyer, who is also an advocate for women, particularly women of color, in the comic book business. 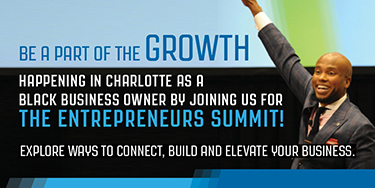 For some, the unrealized dream of not “making it” in the industry can be devastating. “I know an artist that was on Facebook just about to announce his suicide,” says N. Steven Harris, an award-winning artist who has worked for both DC and Marvel on titles including Deadpool. Harris says many young comic book creators are too caught up in the mystique of Marvel, DC, or Dark Horse—a comic book publisher of popular titles including Hellboy, Sin City, and Mass Effect. 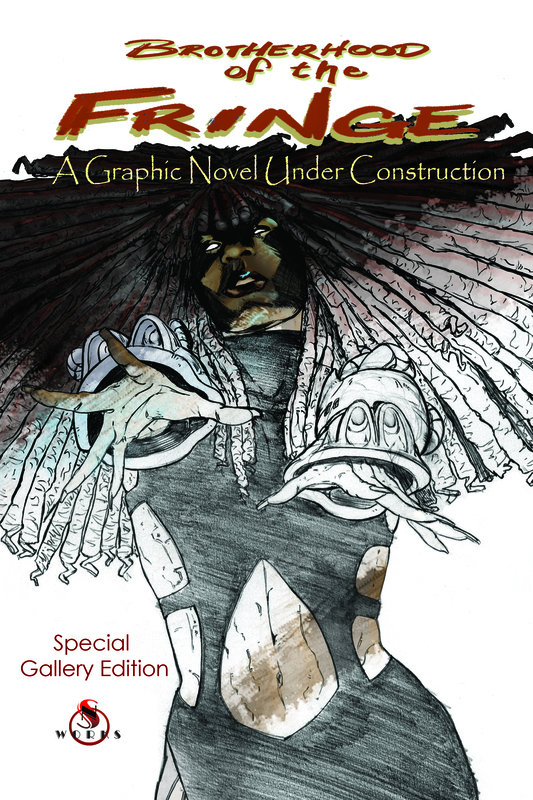 Financing is another roadblock for many black comic book companies. 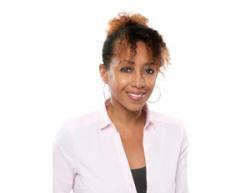 Diletantte J. Bass is the marketing director for PBS Media, creator of the comic book P.B. Soldier and has first-hand experience in financing a title. “When you are a small comic book the price it takes for you to make your comic book is so costly,” he says. Bass also points out that many inexperienced in the business don’t factor in other costs. “You have the issue of events like Comic-Con and they are charging $2,000 per booth,” says Bass. He says creators have to factor in other trade shows to promote their product, not to mention traveling expenses which are rarely reimbursed. Roye Okupe quit his job as a full-time web designer to launch his comic title, E.X.O.—about an African superhero (Okupe is originally from Lagos, Nigeria). Okupe says as with any business, to launch a comic book requires capital. In addition to angel and private equity investors, some independent publishers are turning to crowdsourcing funds. 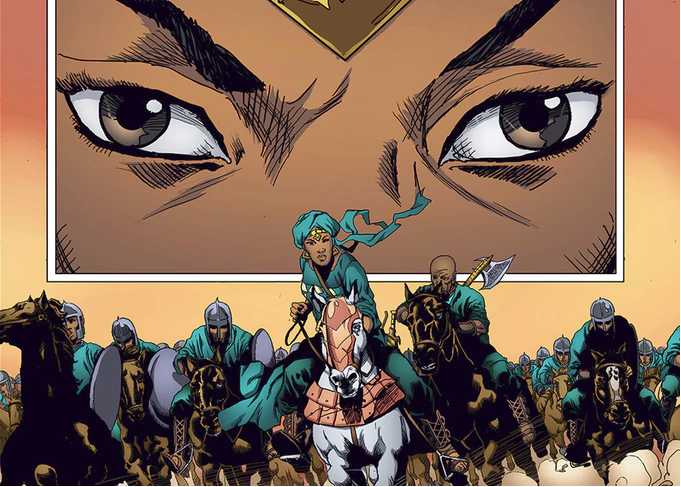 He just launched his third Kickstarter campaign for his latest comic book, Malika: Warrior Queen. For black comic book creators, solidarity is the ultimate way of receiving and lending support, be it financial, artistic, or emotional. All of the artists and writers interviewed in this article are acquainted, some knowing each other for years. Overcoming the challenges comic book creators face, especially those of color, is by “uniting and coming together and forming that collective,” says Bass. 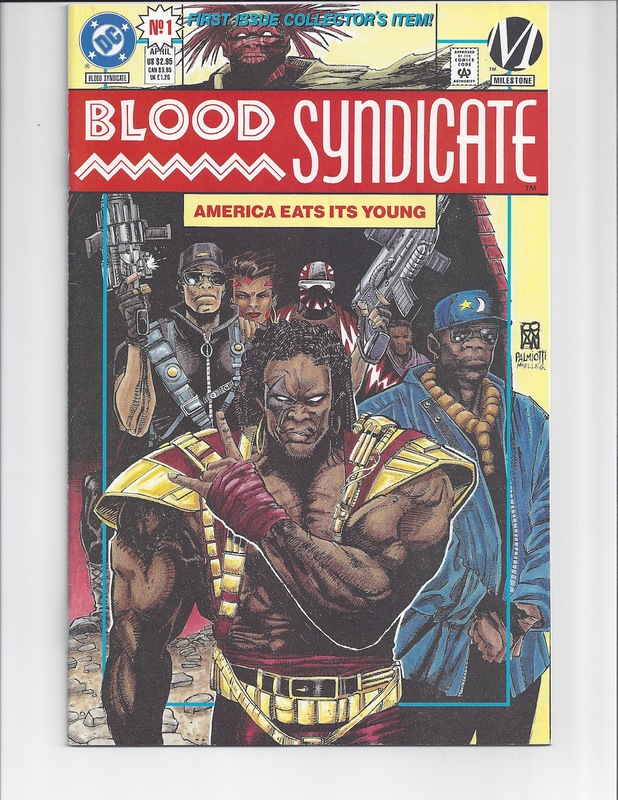 One advantage for black comic book developers in going independent is the opportunity to make strong political and social statements through their art; an opportunity that would perhaps be subject to more scrutiny working for one of the big publishers. Naseed Gifted, the founder of PBS Media, is the writer and creator of his company’s comic book P.B. Soldier. The book is designed to teach youth about STEM (science, technology, engineering, and mathematics). 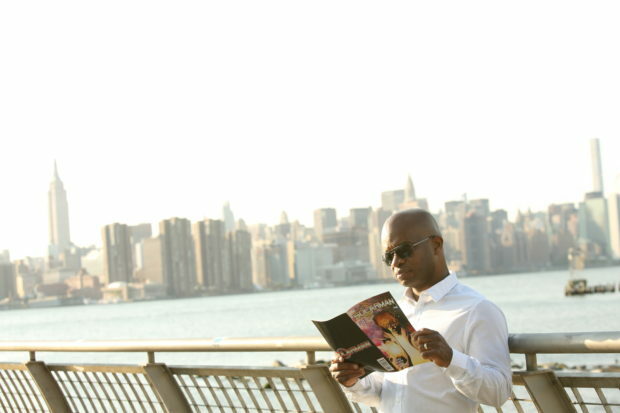 Gifted, who works as an administrator in the Newark, New Jersey public school system, has an engineering degree. Perhaps the single greatest motivator for these creatives is developing characters and storylines with which they can identify. African Americans who grew up consuming Spider-Man, Captain America, Iron Man, Batman and other iconic titles enjoyed reading the adventures of these superheroes, yet their lives and backstory were often foreign to a black reader’s life experience. It wasn’t until well into the late 60’s and 70’s that Marvel and DC started to take a more multicultural turn. Black Panther debuted from Marvel in 1966; followed by an African American Green Lantern from DC, Luke Cage, and X-Men’s Storm. However, these superheroes of color were written by white men. Stan Lee and famed comic book artist Jack Kirby created Black Panther; Archie Goodwin, John Romita Sr., and George Tuska developed Luke Cage; Storm was created by Len Wein and Dave Cockrum. 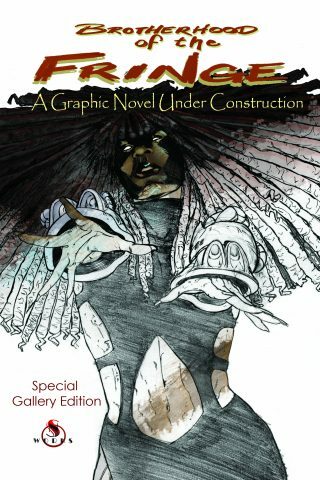 African American writers and artists in the comic book genre then were few and while numbers have increased, are still scant. And once people of color do manage to get a coveted position at a comic book publisher, their longevity is sometimes doubtful. Christopher Priest was one of the earliest African American hires at DC and Marvel. He left the industry, frustrated by being regulated as the “black writer,” although he worked on Batman, Spider-Man, and other best-selling titles. That is of course when people of color actually get hired. As recently as July 2016, Marvel went from having zero black female writers, to three in its almost 80-year existence. Those numbers are comparable to DC’s black female editorial staff. 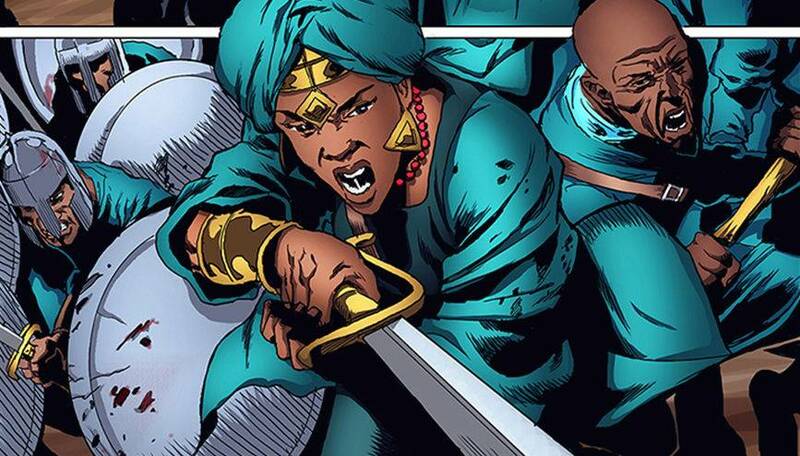 With the lack of diversity, the big comic book houses often overlook the familiar touches that can make a black, or Hispanic, Asian, or Muslim character more relatable to readers of color. 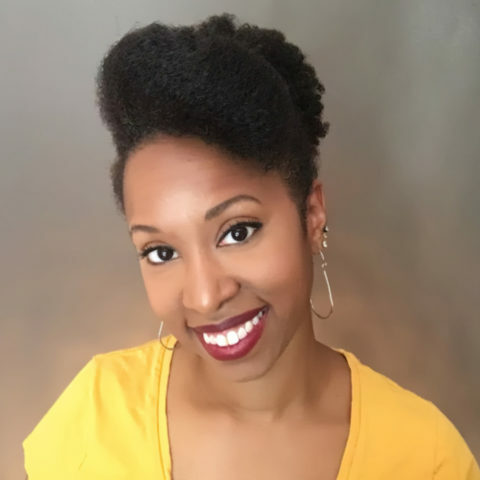 Karama Horne a comic book, animation, and movie fan and analyst, as well as the founder of BlerdGurl, says that even when black comic book creators get hired to do mainstream work, it’s not taken seriously, or promoted that well. “On the indie side, black creators often battle the stigma of their work being considered inferior, simply because it’s not being distributed by a major studio. Even by other black people. And it’s even worse for black women, who often are simply ignored,” says Horne. Sawyer feels people think her comic books will be “really cutesy and Care Bears” because she is a woman. Her comic titles are not sugar and spice. “There’s a lot of bloodshed here,” she says about her books. Despite the hurdles in getting hired, financing and launching one’s own comic book, and obtaining recognition in the industry for comic book creators of color; in the end, it’s all about the creative process.